The truth that was hidden there, opened all along, let itself be known as it is absolutely real & shared by many. 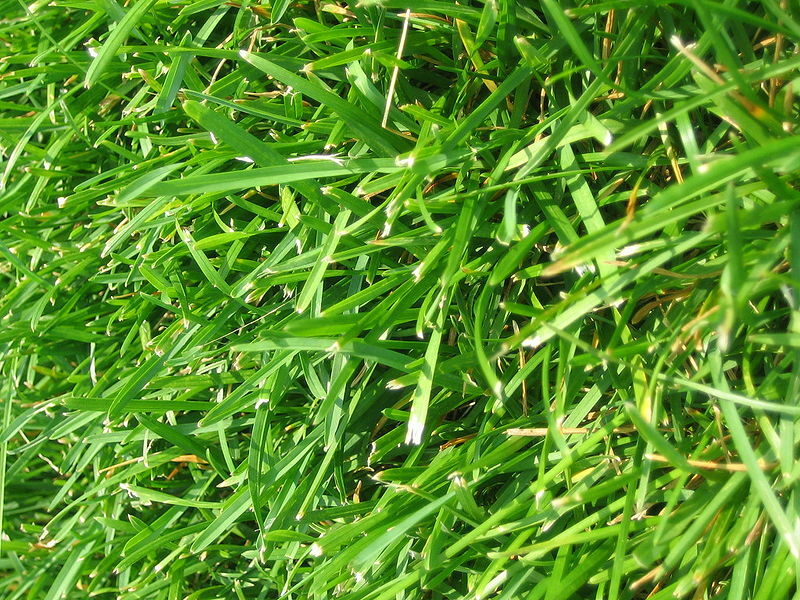 …not a secret, but merely hidden beneath my perspective, my viewpoint. It was preserved while waiting, protected & not unknowable. Sustained there as if the recognition was a vivid possible waiting to be known & understood. Let me not risk being a fool to observe it here. Suspended here & divulged here as it was opaque, spoken of, as it is now clear. a call to truth. truth as it always has been tangible. The facts of this keyboard, the truth of my fingers, & the truth of your eyes, your teeth, are embedded & bridled with truth. Not only a touchable truth, also a truth of a transcendental shared knowing, closer to a common experience. This is not rare, it’s now. The way it fans-out, the way it’s unpacked is not a series of images or scenes with stops & starts, and rather it’s traced through full memory. As it’s remembered it lets itself be felt. This remembering doesn’t happen with ease, it must be worked-out & coaxed. Where was it then? The fallible memory that can be accounted for as imperfect & reliable is with us, fuller than before. The now is always filled with truth. Regard the past that was buried in our lives & with the guideline of what is readily summoned-up. All else stems from here. We are better off with what is ready & open. Let us also struggle with what has been vague. Within the vagaries we’ll find a preserve. That which can be communicated can be given full voice. That which confuses is also within our range. the blend gives us our mystery. The presumption is what should be questioned & turned upside-down. Overconfidence can destroy astonishment. This or that day was given, while searching for the detail. The quest is rewarded with gorgeous possibilities submerged without & within. Attend to what is found in your lived 24/7, find the days openly revealed to you, even the hours that are closed to remembrance. That which is closed, introduces us to our limitations. This basic demarcation can be learned. To that, what’s known isn’t ignorable. That which is here, assumes everything-else that is not here. Many obstructions arrive when the past moment is regarded, namely a simple recognition of what was there to be bracketed & related. Let there be [ ? ] a questioning in the bracketed intention. Last-night was also lived as a now, a living breathing succession of hours that’s magnified presently by its intention, by its regard. The accounting is something like a list & it is like a testimonial. the list though, is a telling like wearing a shirt, or sitting on grass. 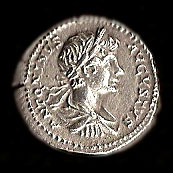 The above denarius is of Caracalla when he was twelve years old (ca. AD 199). This portrait is a sharp contrast to the man this child came to be. The little profile on the coin looks elfin & somewhat cute. He was a handsome kid. However, a problem arises when one tries to align this lovely little boy to the tragic, overbearing & power-hungry leader he is remembered for today. The boy becomes the man & the man becomes the boy with royal vulnerabilities. Is there anything nice to say about Caracalla? We are left with the histories, the ruins & the artifacts to piece together an already damaged life. He was born to Semptimius Severus & Julia Domna on April 4th 188. The name Caracalla was an informal nickname for the hooded-robe he popularized. That name stuck & replaced (although not officially in his lifetime) his given imperial name of Marcus Aurelius Antoninus. Caracalla had a slightly younger brother Geta, together they were to share the Roman Empire. The brothers ruled together for a very short time due to their fatal quarrelling. Their father Severus died in 211, leaving the two brothers with the words: “…get along with each other, take care of the troops & scorn all others.” Needless to say, the bitter father’s deathbed advice was no palliative, or solution, since their co-reign only lasted only for a few months, until the foolish Caracalla ordered his ostensibly faithful Praetorian guard to assassinate Geta in 212. Remember too, that all of Geta’s in-laws & public supporters were also murdered in the tens of thousands. I suppose no punitive action was taken against Caracalla, other than a questioning by the senate. Perhaps they all feared for their very lives. In ancient Rome, human life didn’t seem to have the value it has today. Other people were merely disposable, including members of your own family. The founding myth of Rome itself tells of Romulus eventually killing his twin brother Remus, for simply jumping over a wall. It was also at the time of the fratricide in 212, that Caracalla granted Roman citizenship to all within the empire, thereby increasing a taxable public & many more military recruits. It is arguable this imperial gesture was made to enhance his credibility with the public, to distract from his unpunished & morally disastrous power-grab. Add to this a few years later that the Baths of Caracalla were opened & his name was temporarily glorified. Caracalla was known for his prowess on the battlefield & seemed to exemplify the soldier, more than the aloof, philosophical rulers before him. This brutish fighter of an emperor made for an angry model seen by his imperial portraiture that survives. Caracalla’s life is painful to look at from our perspective in the 21st century where the value we place on life is fundamental. The lesson now, in looking to a story like Caracalla’s, is to see the extent unbridled anger & hunger can take a person. How a person becomes defined by their anger & greed, when consumed with it. Yes, we see a cute kid on a silver coin, but we also see an empire equipped with profound delusions. Caracalla you were once the emperor of Rome & we don’t remember you well. reinaert de v., luigi pareyson, richard tuttle, edmund husserl, immanuel kant, phenomenology &c.
Reinaert de V.: I’ll give you my humble opinion on Tuttle’s art on basis of what I’ve read and seen of it, thanks to the link you’ve provided me with. I’ll be making use of a relevant review on the site you’ve linked to, titled “Richard Tuttle: The Subjective Object”. I would also like to express my sincere gratitude to you for bringing another interesting artist to my attention! But first I’ll start by answering your other questions in order to put it all in its proper context, so bear with me please. You already mentioned Edmund Gustave Albrecht Husserl’s (1859 – 1938) wish to return “to the things themselves” – not to be confused with Kant’s ding-an-sich! This point is crucial in understanding the phenomenological project (from the Greek verb phainomein, “to appear”) . You also rightly point out phenomenology’s emphasis on our perception of the world, how our acts of perception provide the basis of our understanding. Basically, Husserl wanted to create a metaphysics that accepts, and tries to explain, “contingency”. By paying very close attention to (and meditating on) our experiences, he hoped to be able to (logically) capture this element of contingency in our ever changing world. You might say, phenomenology is the study of surfaces, where (the illusion of) depth is found along the surface of things. 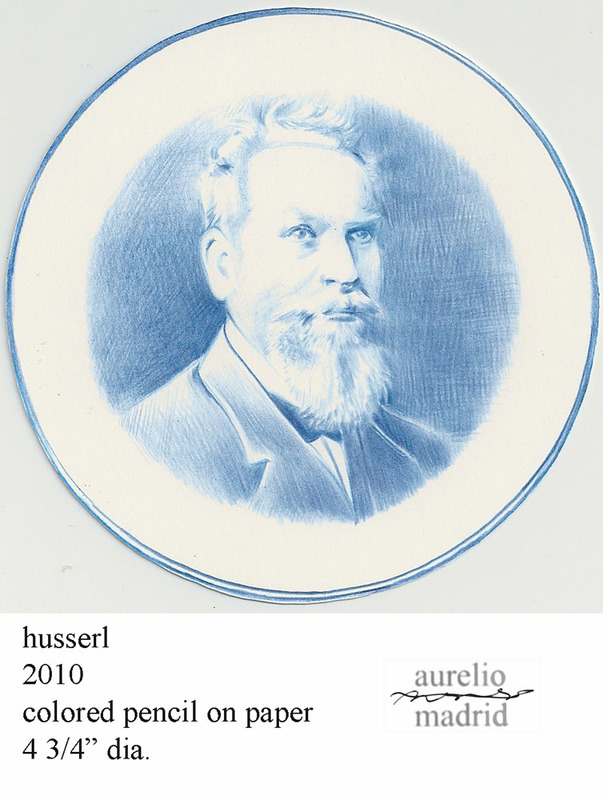 Human beings, Husserl reasoned, are only able to experience reality by way of “intentionality”, meaning that: we can only think ‘through’ the world by lodging on to patterns we discern in nature and the things around us. Even gaining self-awareness by becoming aware of the things outside ourselves. We think in (natural) forms by “always, already” being ‘intentionally’ focused on some-thing, or, to put it in slightly different words: every mental phenomenon, every psychological act, has a content, is directed at an object. The study of phenomenology attempts to identify the invariant features of how those objects are perceived (it is this ‘typical’ character that allows the world to be shared). Attending to an object’s wholeness while still being able to understand the object’s separate features. This dimension of ‘mere appearances’ has throughout Western philosophy’s history been frowned down upon (the exact reverse of society today). Our ‘world of appearances’ was considered by the ancients to be characteristic of its “sub-lunar” nature, an idea to which the words mooncalf and lunatic still allude to. This was a world of constant shifts and shadows, where nothing was stable or reliable, a world of the senses and opinion, shrouded in metaphorical darkness. The most beautiful expression of this luminous idea is to be found in Plato’s “Allegory of the Cave”, wherein the sun is transformed into an emblem of the eternal and constant, source of all nourishment, and heavenly lamp of intellectual illumination. It represents the closest man will ever come to the divine and its Ideal forms – because it simultaneously blinds when looked at directly. Plato considered “knowledge” to be the highest virtue and fountainhead of all that is good, especially the divine-knowledge of mathematics and the humbling knowledge of dialectics. Accordingly, our attainment of this knowledge would enable us to “see the light”, and be led out of the “cave of our own ignorance” (the ignorance of our own ignorance). Bringing us in possession of Truth, Goodness, and Beauty. Immanuel Kant’s (1724 – 1804) philosophy of transcendental idealism was in essence a brilliant synthesis of these two distinct intellectual strands in Western philosophy. Of Rationalism’s deductive reasoning (Plato’s ‘abstractions’) on the one hand, and Empiricism’s inductive investigations (Hume’s ‘psychology’) on the other. This led Kant to his influential distinction between the realms of noumena (the thing-in-itself) and phenomena (our sensible, relative world). I already mentioned in our previous discussion on the sublime, how Kant thinks ‘the understanding’ is able to reach beyond experience, enabling us to question, criticize, and evaluate it. Yet its ability to reach beyond natural forms, beyond the given, makes it incapable of judging its own limits, of “knowing what may lie inside or outside its entire sphere” (A238/B297). Because of this ‘the understanding’ is always tentatively feeling its way, preferably using a careful and critical ‘reflexive inquiry’, not unlike Kant’s very own “Critique of Pure Reason” (1787). The reason for the noted limitation lies in the fact, that the pure concepts of ‘the understanding’ have no reference to the objects, except through intuition. They must refer to objects through empirical intuition, since even if they are made more specific by their relation to pure intuition (space and time), they would still not refer to objects except insofar as pure intuition is related to empirical intuition. Because “without this reference they have no objective validity whatever, but are mere play, whether by the imagination or by the understanding, with their respective presentations” (A239/B298). Related to this, is the need for a concept to be “made sensible” otherwise it is “without sense, i.e., without signification” (A240/B299). Finally: pure intuition is “the source of all truth, i.e., the source of our cognition’s agreement with objects” (A237/B296). This technical background is necessary to understand what’s going on. Because it seems to me Husserl wants to take up Kant’s claim, namely that pure concepts are not only necessarily related to pure intuition, but must also refer to the objects themselves through empirical intuition. I suspect Husserl wanted to get to Kant’s pure concepts by way of a ‘pure’ empirical intuition. Phenomenology’s ‘purified experience’, where contingency is fully accounted for. Ultimately this approach has proven unsuccessful, as can be seen from Husserl’s failure in explaining the origin of geometry, in his 1935 essay of the same name. In it, he tried to explain how geometry’s universal applicability found its accidental origin in a specific time and place, namely ancient Greece. For how did the Greeks manage to create this systematic way of thinking – in essence the discovery of objectivity, or “objective truth”, as opposed to historical facts or opinions – seemingly out of nothing? A discovery that disclosed a new dimension of “ideal objects”, forever changing human experience. Husserl’s method demands that everything must be reducible to our co-inhabited object-world, our “life-world”. But in the end, the question of how the universal and the particular – the contingent and the absolute – are related, turned out to be irresolvable for Husserl (“Who Was Jacques Derrida”, p. 36 – 48). The failure is understandable though, it is the same reason why we do not deal with sensible objects in mathematics, we make use of another faculty, by way of “categorical abstraction”. It seems mathematics cannot be reduced to psychology, since its “ideal objects” are extra-experiential in nature (noumenal). In steps Luigi Pareyson with his hermeneutical theory of form, where, as we’ve seen before, “form” is understood as the “resisting object”. The ‘obstacle’ as the defining characteristic of true form: “Interpretation is a form of knowing in which receptivity and activity are inseparable and where the known is a form and the knower a person.” The “activity” spoken of presupposes this resistance, which frustrates, and calls forth our activity. The “receptivity” he mentions, implies something external to me, some-thing I’m able to receive. Husserl’s problem of explaining geometry’s origin is less of an issue to Pareyson. Given geometry’s universal nature (its true form), it must be able to be experienced because of its resistance to our wishes. It’s experienced in its invariable nature, calling forth our activity (leading to its ultimate discovery) and making its receptivity possible. In other words, we experience it in its law-like nature, and it is this law-like nature which enables the infinite variations on its theme, without it losing its (logical) true form. Yet this true form cannot be experienced, as Kant has shown. It can only become accessible to us via our intellect, by way of “categorical abstraction”. This knowledge is derived from the totality of its concrete material manifestations. The so-called variations on its true form – which are (partly) the result of our continuous struggle with its law-like nature. This statement is a bit tricky, so lets unpack it. Given that Pareyson is a hermeneutical philosopher, he must assign to each contingent element a specific weight, accorded to it, by its place in a context. Simply said, it means something has a certain sense or meaning, in a certain context – which enables the “correspondence, consonance, or sympathy” he speaks of. Though the meaning given to it may alter depending on your specific relation or position to it (potentially infinite), the allocated meaning can be understood or retrieved, once the conditions under which it appeared are understood. This, as we’ve seen, is also Husserl’s phenomenological position vis-à-vis perception and the contingent. I recently read an excellent article (though totally off-topic) which perfectly captures this point of “interpretive communities”. I recommend you read it, but I’ll try and give another illuminating example by John Carroll. Of course this is Carroll’s unique interpretation, but imagine it was of someone who’s tired to be sad of life’s misery. Such a person might be predisposed to pick out this particular detail in the painting, when searching for something comforting, something hopeful to hold on to. In other words, there might be “a sympathy, between an aspect of a work of art and the point of view of a person.” A “correspondence” if you will, between artwork and viewer, which establishes itself naturally. It goes without saying that materially the work of art doesn’t change one iota, but its meaning is transformed completely! By focusing on this aspect, the rest of it takes on a whole new meaning: “A work of art entirely reveals itself in one of its aspects, and the interpreter penetrates into it entirely from his or her point of view.” Such views do not per se abolish previous ones, but might instead add to them: the unbearable suffering of the others, while remaining essentially the same, gets a different meaning due to the changed and enriched context. Last but not least important, is the fact, that Pareyson is talking about art’s reception here, and not its creation. I’ve got a hunch, reading Umberto’s book, that Pareyson believes there are also certain (revealed) laws governing art. This might not be such a farfetched idea, though no doubt highly unpopular. Take for example the art of rhetoric – the art of speaking and writing – which is gaining in popularity, since postmodernism holds there is no truth, just persuasion. This art form, the discovery of which enabled us to speak eloquently and persuasively, has proven its reliability. The discipline of rhetoric created by its discovery may be modified as time goes on, but always on the basis of its original premises. In that way, it offers possibilities for development, for new knowledge to accrue, and yet remain the same discipline (“Who Was Jacques Derrida”, p. 40). But also think of the hidden persuaders of advertisement, which attracts a lot of young artists. Or the beauty of symmetry. But there’s another way of understanding Pareyson’s statement: by focusing exclusively on the word “infinity”. In this case it would seem to support your insightful interpretation of Tuttle’s work. This interpretation has clear postmodern overtones, it implies there is no right or wrong way to interpret a work of art, since everything is relative. But if all interpretations are equally valid (or valuable), they obviously are equally meaningless as well. Think of Baudrillard’s mercenary philosophy where “everything goes” (out of the window). Understanding Tuttle’s work in this way does turn out to be very useful, and places it in the proper context I think, because as you point out, it indeed begs the (sublime) question: “what is this?” His work almost seems to be the material incarnation of exactly this post-minimal question, and being the question it is, supposedly opens itself up to an “infinity of interpretations”. Apart from being a post-minimal artist, Tuttle is also a self-defined conceptual artist, hence the questioning. Tuttle’s post-minimal drive towards the nigh disappearance – or reduction – of the object, culminates of course, in the questioning of the object-status itself: “when is something still considered to be some-thing?”As interesting, thrilling, and intoxicating as these formal experiments may sound, I do not think this can be Pareyson’s hermeneutical position, for reasons I already explained above. But I also content the claim, that this would lead to an “infinity of interpretations”. Because in the way the question is posed, it already suggests the answer: there is no valid interpretation, there’s only the open question. It’s a rhetorical question. After all, any interpretation would be an answer to the question, and break the spell. At the risk of repeating myself, I think postmodernism privileges the experimental in art, the endless pursuit of novelty – of pushing the envelope – but at the cost of the sensual-emotional content. In the end you risk a distortion of art itself, where a preconceived theory terrorizes art’s free expression. There’s no question that novelty, experimentation, and provocation can all be features of great works of art, but they are not the only features (harmony, authenticity, pathos, mimesis, etc). More importantly, they clearly favor the intellectual over and above the sensual. Don’t banish beauty from art! Don’t bar your senses— come to your senses! Aurelio: Thank you & thank you again for the additional comments. Our dialogue is turning & transforming all the way from Baudrillard, Lyotard, Kant, Pareyson & now Husserl. From post-modernism, the enlightenment, phenomenology, & (briefly on) hermeneutics, while being all tied together with aesthetics, contemporary & now with your last comment, renaissance art. Not to mention the artists of our discussion starting with Florian Pumhösl & now moving along through with Richard Tuttle & Raphael. In your latest reply you gave a brief summary of phenomenology & Husserl. With that I’d like to add a few things. I’ll openly risk being repetitive throughout the discussion, for the sake of letting my humble learning breathe, branch-out & thereby aspire to a better involvement with all our (mutual) understanding/s. Aside from all that let’s also happily remember that Lyotard’s 1st book was on phenomenology: Phenomenology. I want to start with some background. During our philosophical correspondence I’ve been reading Dylan Trigg’s incredible book The Aesthetics of Decay: Nothingness, Nostalgia and the Absence of Reason. I also have been looking at his nice Side Effects blog & trying to sort-out all the parts of the intense book as I understand the whole to be. While reading, I discovered that Trigg’s thought is closely interwoven with phenomenology. In the book Trigg traces the way we experience ruins, decay, and architectural abandonment through memory, remembrance, nostalgia, temporality, absence & so on. His unique form of phenomenology in the book is overlapped with other philosophical concerns & a fascinating argument for post-rationalism via post-modernism. I’ll be writing about the book in a separate post. I know that’ll be soon. I realized quickly (thanks to Dylan Trigg) that I needed to understand phenomenology first hand & from its originator Husserl. Trigg does not seem to be a Husserlarian directly, but he got me in this general phenomenological direction. When you then brought in Pareyson & I did some research on his specific thought via Umberto Eco & we were taken to Pareyson’s branch of phenomenology as it relates to art appreciation. Let’s also bear in mind that I’ll have to only hint at Pareyson’s hermeneutical questions specifically & how that’s related to his project at hand. I’ll just say that I’ve been seeing the word hermeneutical as simply meaning interpretation, a way of interpreting a text, artwork or other area of interest. During my reading of Trigg’s book, it was suggested that I read Robert Sokolowski’s Introduction to Phenomenology, Dermot Moran’s Introduction to Phenomenology & Trigg himself (via twitter) had me look at Merleau-Ponty’s preface from the famous book Phenomenology of Perception. Sokolowski’s approach is straight-forward & he walks the reader through the ideas with a clear exposition that’s down to earth & very accessible to the philosophically curious. The Moran book is an in-depth look at the progression, history & ideas of phenomenology from Husserl’s mentor Franz Brentano on through to Jacques Derrida. Merleau-Ponty’s book blends & looks at phenomenology through the body & all the intricate associations thereof. Another helpful book has been: Husserl – A Guide for the Perplexed by Matheson Russell. Don’t let me forget to mention that Merleau-Ponty has written great things on Cézanne’s perception in his essay: Cézanne’s Doubt. I know you’ve read it. I’ll make a note to write a future post on this. How do we essentially experience the world consciously? When we try to comprehend how we see/understand the world philosophically, we can start by evoking epistemology (how we acquire knowledge) & empiricism (how we experience the world). As well, when we begin with epistemology & empiricism we can’t help but bump into the omnipresent genius of Kant & his Critique of Pure Reason, then more specifically to his idea of Transcendental Idealism, as you’ve keenly pointed to. From the tiny bit I know of Kant’s transcendental (a priori condition of knowledge) idealism (knowledge of the world as known only by the mind &/or ideas), I can see that, as I suspected, there is a distinct link to Husserl. Understanding the subtle link is difficult, given that both thinkers are going in different directions, with different motives, yet both were still focused on experience as its perceived. Add to all that, their excessively-difficult writing, which is usually only accessed (by me) with a 2nd author in an introductory essay on-line, or in a book. You do a very nice job of detailing out the theory. Okay now to Kant, with a mind that my summation is only here to clarify my own understanding & I’m not trying to refute any of your clear & precise work in explaining. I’ll simultaneously acknowledge that with the crude abbreviated explanations, I’ll try not to do damage to the “essence” of the ideas. With Kant’s transcendental idealism we have the subject & his/her way of apprehending & experiencing the world through the senses, the manner by which the world & it’s objects are understood as having to do with phenomena, which is the experience brought to us by the senses & the objects themselves, as the noumenon. Maybe I can say that for Kant phenomenon is a description of the noumenon. How experience is described by Kant as intuited by the subject also has to do with the synthesis of reason, his categories, time & space (as you’ve illustrated), while keeping in mind that within the mind of the perceiver, all these features are a priori (known before experience). This way of experiencing suggests that we cannot truly understand the thing-in-itself, because the subject has to transcend the object in question to comprehend it, therefore the object is left only with our transcendental idea to define it. So, the Kantian thing-in-itself is that which cannot be fully understood by us, in its entirety, as you neatly laid-out for me. What is important for our use is that both Kant & Husserl have bravely tried to understand & explain how we come to experience the world, however limited/expansive that may or may not be. It’s as if Husserl wants to step behind Kant’s theory to then attempt to take the subject back to the phenomena of experience, before we even start to wonder about, or posit the validity of the thing-in-itself. Phenomenology does not want to prove that the object exists. I understand Husserl’s project to be a discipline of a going back to experience & while there we can have an examination of the essential/eidetic quality of things, rather than a strictly empirical evaluation of the world of objects &c. With all this we have the term transcendental suspended between the two thinkers. I’m almost sure that Husserl meant his use of the word transcendental to be that which moves into the philosophical understanding of the empirical & along with other specific phenomenological features of perception & consciousness, only slightly similar to how Kant used the word (Kant wasn’t developing phenomenology proper). Please keep in mind that I’m not touching on Husserl’s relationship to Descartes’ cogito & how that relates to the developmental background of phenomenology’s transcendentalism. In phenomenology we have the “transcendental reduction,” “the phenomenological reduction,” “the epoché,” “a bracketing,” &c. These are all interchangeable ways of describing the same central theme of Husserl’s phenomenology. You describe the reduction similarly to a Zen Buddhist sense of mindfulness. As a Nichiren Daishonin Buddhist myself, I’d call it enlightenment &/or esho-funi: oneness of life & environment. With this concept, life & environment are not different, the two are one. Eugen Fink, Husserl’s precocious assistant & follower of Heidegger, wanted the reduction to be taken as an astonishment. The “epoché” is when the philosopher goes into the reduction, leaving the natural attitude. The natural attitude itself is that which we have to transcendentalise ourselves out of. The philosopher has to step away from the natural attitude in order to regard features within it. I’ve been thinking of Husserl’s reduction as a distillation & removing of certain tendencies of the natural attitude, namely science & “psychologism.” Science here means the physical sciences of physics, biology &c. Psychologism must mean what it sounds like, that is, a way of theorizing that uses the psyche & its way of knowing the world to explain how we understand things, maybe a way to for Husserl to say that psychology did not have all the answers, never mind his intricate use of the word Ego. Husserl wanted to create a philosophy that went before these ways of understanding & to then take the conscious subject into a world of pure lived experience. He wasn’t afraid to call it a science either, making for even more perplexed readers. Added to my perplexity is that I can’t understand how all of this is tied to metaphysics, you might have the answer. Now I’ll return to Husserl’s famous slogan “back to the things themselves” (Zu den Sachen selbst). This phrase becomes confusing in comparison to Kant’s thing-in-itself. I’m thinking that it is contrasted to Kant’s meaning, in that Husserl was suggesting we let go of traditional scientific thinking & go back to the experience of the thing itself, while letting go of an urge to justify or prove the existence of the thing itself. The goal of phenomenology wants to look at the eidetic nature of things by which to understand them, therefore a going back to the essences, or even the essential nature of the lived experience with the thing itself. Kant perhaps was beginning & inadvertently detailing a bit of difficult ground work from which Husserl could borrow threads from, but (it must be noted) not borrowing whole cloth. Getting back to our discussion where you brought in appearances & their relationship with phenomenological ideas & with the wonderful example of Plato’s allegory of the cave. In the cave we have the chained/delusional people who understand the shadows to be reality (I’ll be bold to say that this is the phenomenological natural attitude) & the then freed philosopher who sees the light, the true nature of reality (we’ll call this the epoché, the reduction that allows for the essential experience of life). In my oversimplification we have the comparison between Plato’s forms & that which happens within the epoché: an eidetic reduction, where the philosopher is compelled to draw out the essential qualities of the intended object under scrutiny, hence to then see the light of truth. Now the difference is that with Plato the ideal form is transcendentalizing away from the phenomena & with Husserl’s phenomenology the eidetic quality of forms is immanent within the phenomena. Phenomenological essence does not lie outside the experience of a given phenomena. For Plato this was ideal form (εἶδος : Form, now capitalized. This was Plato’s term after all) defined by form (everyday world of objects &c.) This shows us more similarities between the two ideas, as with Kant, Plato’s ideas are also enhanced by Husserl’s usage with & into phenomenology. Brilliant of you to take us back & so close to a couple of the greats of philosophy: Plato & Kant. Your grasp of the subject is vast & wonderfully flexible! I’ll tack-on to all this, the importance of dialogue for Plato, the way ideas were bought to us through that particular & profound device. It’s the very nature of what we’re practicing here. I wouldn’t have gone this far with our dialogue to keep it all going. Now back to Pareyson’s forms, I make a leap to see an eidetic reduction (looking into the essential qualities of experience & objects), in the way that Pareyson (as put forth by Eco) is asking us to make the simple distinction of looking to the maker/artist of the forms, the work that led up to the form & the influence of the culture that the artist lives in, all taken together when one is to interpret the art object in question. Eco says that: “For Pareyson, form is a structured object uniting thought, feeling and matter in an activity that aims at the harmonious coordination of all three and proceeds according to the law as postulated and manifested by the work itself as its being made.” This is an incredibly simple yet extraordinary way of describing what an art object is, given the centrality of art’s relationship to forms for Pareyson. I’ll add here that phenomenologically we interpret these features as they are given & as they are intended. So if we try to intend the essence of an art object, we might start with the basic thoughts, action, ideas & matter that went into its making. My idea is that we are in a way, almost asked by Pareyson to look for the eidos (essence or essential qualities) of the art object, as a manner of understanding form in general & specifically. Art is a special case because it is a proving ground of form, (form + art = Form-pur-sang) a way that matter is brought together artistically. While art (“the prototype of resistance”) is devoid of a typical use value, another object’s given form might be obscured by its inherent use value by the simple fact that it’s a useful object, rather than the less obvious use value of a work of art. The artist has to pass his/her experience through matter, by this matter becomes form, matter becomes art, as it is then to be received. Work itself is looked at as the key transformative act. The way an art object is made has everything to do with how it is interpreted, how it is translated by the viewer. It all sounds so simple when you lay it out & as an artist I can immanently understand this way of looking at the art object. I want to try to glean more from Eco’s essay soon & to also get my hands on any English translated Pareyson. You have a refined taste to have found him. You also made a fair point about my use of infinite-interpretations. I think I used it too casually without giving enough attention to Pareyson’s usage. The infinite ways of interpretation idea, is overstated without the apodictic (necessary) suggestion of the object. If the eidos of an object is its essence, to look for that essence we much extract all that is irrelevant to that object & simultaneous experience of it. This is an exercise of taking the infinite out of consideration & looking to the finite & essential qualities of the perceptual act of consciousness. Thanks for bringing it to my attention, my relativism comes out like a stubborn mooncalf! I acknowledge too that Pareyson is speaking to art’s reception. I can simultaneously state that I am an artist & I could be looking at all this for a possible creative recipe, a way of making art. It’s tricky enough doing philosophy while making art! In all seriousness I am speaking about the art as it is received & in its reception. The way it is made, should be considered as an intrinsic part of the object’s reception, according to Eco’s reading of Pareyson. I brought Tuttle into the discussion for the reason that his art is such a vivid example of how forms & formal ideas are mediated though an artistic practice. This is made evident with his post-minimalist style. Thank you for reminding me of this. This is important to note because the post-minimalists, like the minimalists were still concerned with basic formal questions, but some of the strict orthodoxies of high minimalism were let go of. In post-minimal art we’re no longer looking at strict geometries, rather we’re looking at an expanded, more lenient formal language, where forms are treated & examined less like a masculine, architectural &/or machined statement. The post-minimalists treated the objects with a more organic & flexible sense of form. The post-minimalists were not afraid of frailty, or the ready-made, or the feminine. So when we look at Tuttle’s examination of forms we see this frailty right away. With this fragility we also see the objects/sculptures as almost falling apart. We can also see the absence of illusionistic representation, so then the bare object becomes the subject matter itself. The narrative of the object becomes something like Pareyson’s theory, where we’re asked to inquire into the object’s making. Again, how is this made? How is this made to be received? How is this made to be intended? What did it take to get here to be what I’m looking at? How is the artist’s life & ideas reflected by looking & experiencing the object? All these questions have distinct phenomenological import, beyond (or as I suggest: slightly to) Pareyson, in that we’re trying to again reveal (revel-in) the eidtic (essential) qualities of the object, as well as trying to discern the parts & wholes, its identity in a manifold, the presences & the absences (adumbrations) that’s not to mention the all pervasive temporal features such as anticipation, the memory, & of course our own imagination. Perhaps it is in these qualities that you attribute the accounting for contingency? The objects within the epoché are then are regarded as noema, or let me say the intended foci of the reduction. The noesis is therefore the resulting information given by the noema. For example, with the particular recognition of the adumbrations of (the halo of presence or an absence in the experience) with regard to Tuttle & by extension all the art we experience here on-line. I ask myself to survey all the ways by which I experience a given art object phenomenologically, I’m left with the computer screen, also the magazine, or the book. All these are ways by which I experience the absent art object. Rarely do I experience the art objects first hand. This is not unlike the way I experience these philosophers, (2nd & even 3rd handedly). What is to be said of this experience? Is it somehow deficient? Is the experience of appreciating art on-line an incomplete way to appreciate the art object? In some respects I’m inclined to say yes, in other respects I’d say no. It is common to hear that one should always experience art one-on-one. That experience is of course perfectly defensible, after all, any of the art objects we’ve been discussing would be vividly palpable up close. For example with the Raphael, I’d have to make a trip the Galleria Borghese, in Rome! Can you imagine what that experience would be like for you or me to travel to Rome, just to view The Deposition by Raphael! That experience would be incredible! I can’t imagine what my sense of the painting would be then. I digress, but I easily see that the one-on-one with the object is not the same as experiencing it on-line. However persuasive that argument is (the experience is fuller & richer by proximity) the experience of an art object on-line can be fulfilling in other less obvious & subtle respects. For example right here, our mutual contact over the absent objects, the philosophical dialogue, the unbelievable exchange of ideas &c. When the presences & absences are weighed out, I slowly begin loose a little of the natural attitude & I begin to see the essential qualities of what I’m doing. How is this experience given to me? To continue, I might consult the web for more information on the painting. I can discover where it is hanging in Rome. I can consult on on-line source to find out more on Raphael’s biography. It’s feasible to consider that I would even look for more information on the painting, even if I went actually to see the painting in Rome. These ways of looking to the absent art object are not the sum of the object, they are just possible starting points & do not address another point you’ve mentioned: temporality. As for a short excursion into the idea of temporality, or an account of the temporal experience of how I experience the Raphael, I’ll give the obvious example of history. Simply to say that the temporal features of the painting can be looked at though history. The provenance of the artwork is another temporal feature. How I intend the painting temporally is, of course, an on-line experience. With that, I have your introduction of the Renaissance (as period of time) artist Raphael into our discussion. All of this is intended in time, not to mention the time it’s taken to write these things down. It has my subjective sense of time (the time it took me to understand your statements & ideas, subjectively) & the objective time (real time: measured by hours, days & months), combined. Like your Carroll example, if I look to the story/narrative of the painting, as an event in the life-time of Christ, there is the Mt. Calvary in the distance & Christ’s stigmata itself, both signs that tell us that this is post-crucifixion, moving the body to the tomb. These are important features of the painting’s temporal message, since I know (according to legend) that Christ will rise again, he will be resurrected, as lived though the body of a man. The painting is basically a depiction of a moment, all of the temporality is suggested by a series of metaphorical, visual & transcendental clues. Now if I bring in more adumbrations we have the anticipation of the event of the resurrection & what that symbolizes for me, or what it symbolizes to a Christian believer. Here we have the metaphor of the potential miracle of life after death. I might have this wrong, but these metaphorical features are all intentionally absent, in the horizon of the perception, of this particular painting. When we start to unpack all the hyletic (the matter intended, maybe just the surface. Is the hyle what you meant by surface?) data as it is given to me though the computer screen—it’s amazing. This all says nothing of the temporal experience I have in terms of my own physical finitude. The painting is a way to remind the faithful that the miracle of heaven awaits. Now whether I am a believer or not, it is clear that the question of death & how one might use the painting as an aesthetic form of consolation towards death. Allow me to quickly jump to Heidegger’s being-towards-death. Without claiming an exhaustive knowledge of everything Heidegger said on being-toward-death & how that specifically relates to his elaborate brand of hermeneutical phenomenology, I do sense that he meant being-toward-death to be regarded by the subject as a fundamental feature of our being as humans, i.e. our own finitude is a fact. We can’t understand actual death, since death is what life is not, however we can anticipate, regard & contemplate the eventual leading towards the fact itself, the propelling towards it, the moving closer to it. I’m sure he didn’t mean this to be a constant & morbid brooding over our own death. I think he was urging for a respectful look at death & that we don’t have an eternity her on earth, so we have to make the best of it while we can, right now. 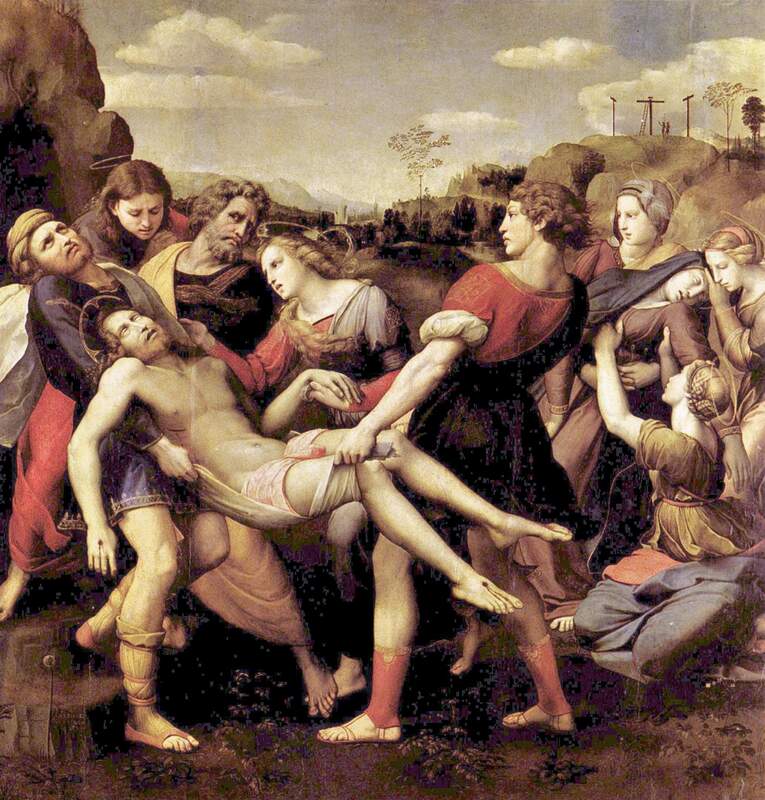 Perhaps you know something of Heidegger’s complex concepts on death by which to interpret this extraordinary Raphael painting. This being-toward-death has me thinking, this philosophy has me thinking, and it’s worth a noting here Heidegger’s not-to-be-missed essay The Origin of the Work of Art. The fantastic way he unpacks the Van Gogh painting to phenomenologically lay out the essential parts of the work, its thinglyness as it related to the equiptmental nature of tools & how the art work is different from a tool &c. &c. I’d love to someday write on this aesthetic essay too. There is so much more I want to touch on & I can’t thank you enough for all the philosophical ideas you have brought me, from where you are in Holland by extension of the on-line world. I’m at a place now where I’m continuing the phenomenological research & I’m looking into how phenomenology is practiced, how it can be used to appreciate art. You also have the statement: “Don’t banish beauty from art! Don’t bar your senses— come to your senses!” This compelling quote comes with a slight directive to understand what beauty is. To this I say, a concept of the beautiful that encompasses the sublime & the difficult should be included. Beauty cannot always be found in questioning or as a strict intellectual quest & as you say, it also needs just the right sensual balance. I agree that art appreciation is not always a pile of criticisms & analysis, but it still can be a focus of investigation, a meeting ground that is philosophical or otherwise, as it is now for you & me. For this discursive kind of questioning, I am very grateful for your engagement. Who else would seriously go this far? miscellaneous-art: armthearmour An interesting Sallet of Felipe I (or Philip the Handsome) of Castile, made in Flanders, ca. 1496-1500, housed at the Spanish Royal Armoury. gemma-antiqua:Ancient Greek wreath of golden oak leaves, dated to the 2nd to 1st centuries BCE. Source: civilization.ca. speciesbarocus: Digitization and Preservation of the Manuscript Collection at the Monastery of St Saviour, Jerusalem.